The story of Akita Seishu begins in 1865, when founder Jushiro Ito converted a 150 year old thatched roof estate into the Dewatsuru sake brewery. Five generations later, the brewery is still run by the Ito family. President Tatsuru Ito works closely with his son Yohei to bring Dewatsuru's award-winning sake to consumers in Japan and throughout the world. The brewery's philosophy is that, "Good harmony makes good sake." 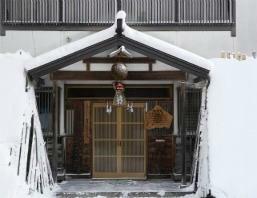 Akita Seishu values everything local and strives for a harmonious relationship between man and nature. The Dewatsuru brewery is even certified to produce organic sake, one of only a few such breweries in all of Japan. Although, working together with nature is not always easy in this frigid region in northern Japan, the harsh winter conditions are ideal for brewing sake and contribute to the distinct, regional flavor profiles of Dewatsuru sake.